HomeBlogs6 reasons why sunscreen is a must for winters! 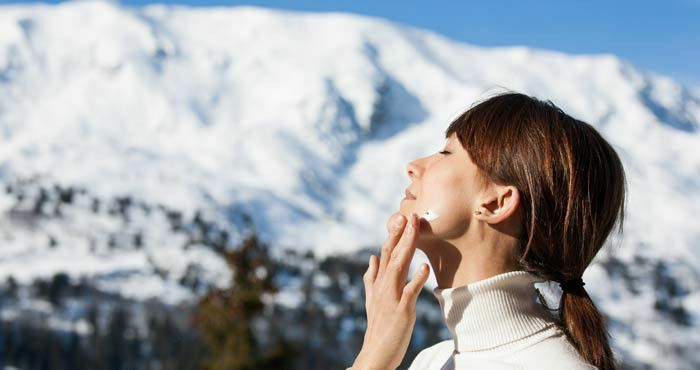 6 reasons why sunscreen is a must for winters! Mostly, people have a common notion that sunscreen is more of an option than a necessity during the winter months!! But listen to what the experts suggest that "Weather should not be a factor in choosing a sunscreen." A thick layer of a sunscreen gel or lotion is essential before hitting the cold winter sun every day or taking snowy walks during winter weekends. The summer sun should not be a reminder to use a sunscreen. Sun rays are as damaging in winters or even worse. As long as the sun is out, there is a danger, and so, healthy skin requires a year ‘round commitment'. Protecting the face, neck, and hands from the harmful UV rays needs to be a top priority at all times. These UV rays are one of the biggest enemies causing sunburns, brown spots and eventually wrinkles, sagged skin, premature aging, and even skin cancer. Every time you walk outside, drive your car and sit next to a window-even on a cloudy day, you are more exposed to UVA rays. These rays penetrate through clouds and window glass. This little exposure can be dangerous than you think. About 80% of UV rays reflect off snow and ice. As a result, the sun's reflection can be unbelievably powerful as you are often hit by the same rays twice. The ozone layer safeguards from the harmful effects of UV rays. It is actually at its thinnest in the winter. The freezing temperatures and harsh winds leave the skin dry and agitated which allow for UV rays to have a better shot at the skin. Hereon, using a sunscreen gel will be highly effective especially when the sun's rays are most active (10 a.m. to 4 p.m). When enjoying the beautiful mountain views, one cannot ignore that UV increases by nearly four percent for every 1,000-foot increase above sea level. It's much exposure as compared to any day at the beach. So, a sunscreen gel or cream can be a blessing for sun-exposed skin. No matter what the weather is, you cannot escape the enormously growing pollution. It renders your skin dry, dull and saggy. But sunscreen can form a uniform layer over your skin and save your skin from pollution damage. So be wise and choose a sunscreen gel or cream which offers you the broad-spectrum protection not only from sun-rays but also from the pollution. Sunscreens not just for outside, but indoors too! The skin pigment cells can be triggered not just by sun’s bright UV rays, but also by lower doses of ambient and infrared light, produced by the computer screen or overhead lamps. A gel-based sunscreen with SPF 50 can do wonders to tackle dry and rough conditions indoors and outdoors. Discover the next generation encapsulated sunscreen gel, with ultralight non-oily texture and excellent sun protection properties.